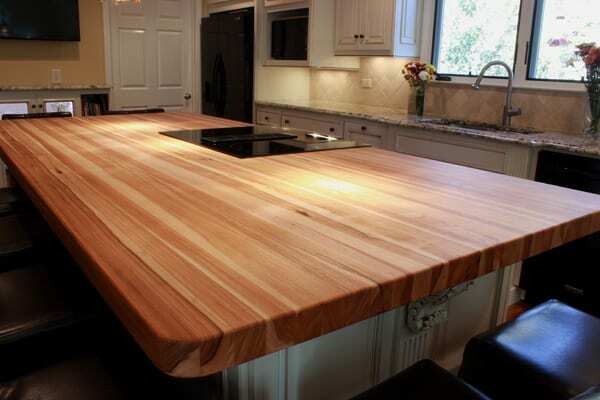 A hickory countertop is the perfect surface for a kitchen both in look and function. It’s very hard, the wood is stable, it’s abundant in the US with most mills following responsible harvesting techniques. The color variation it offers is unique among woods. Hard and dense, hickory is an excellent choice in wet areas. Plank style showcases the widest dimension of the milled lumber to show off the wood grain. The plank style of construction shows off the wood’s natural color variation in wide swatches. It can be used in traditional, contemporary, rustic and cross over kitchen decors. 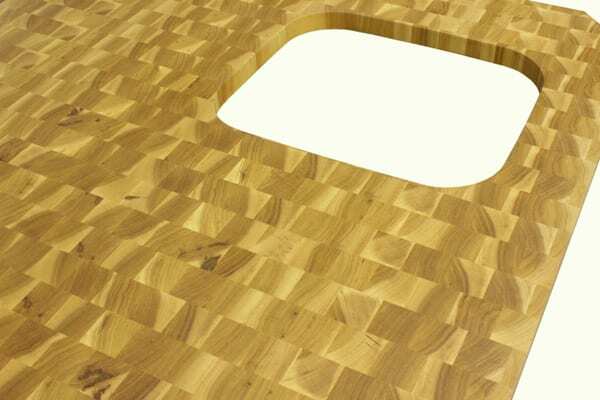 Hickory end grain butcher block offers an even more dramatic look. This hickory counter is sealed with marine varnish to protect it from the water it will encounter from having an undermount sink. A countertop with no sink can be sealed with butcher block wax making it an ideal food prep surface durable enough for even the busiest commercial kitchens. 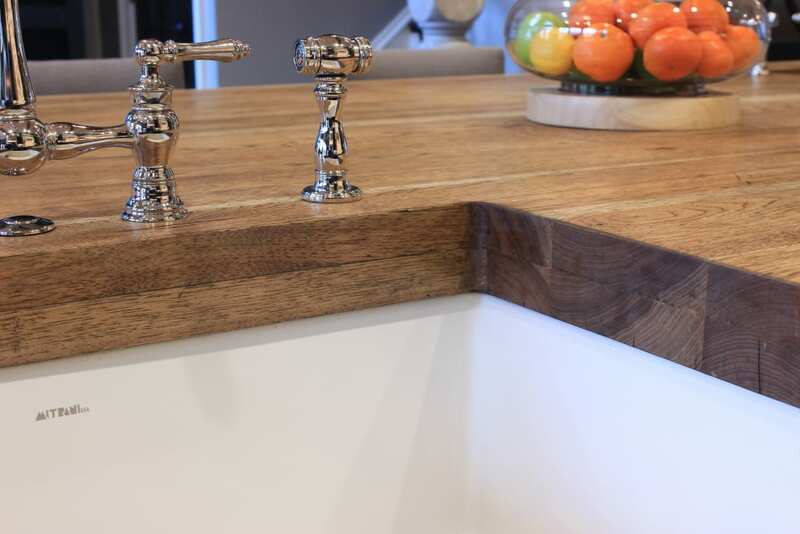 Edge grain hickory in this kitchen island top makes for a more linear look than the plank style. This hickory butcher block island top is in the edge grain construction style and is sealed using butchers wax. The customer wanted to do food prep including chopping directly on the surface, a great attribute for homeowners who love to cook and want a large area to work. Note: The heat from the range is not a factor for wood countertops but a trivet should be used under hot pots and pans.